Ernst Werner von Siemens – the "von" was added to his name in 1888 – was born on December 13, 1816, in Lenthe near Hanover, Germany. Being the fourth child of ultimately 14 children of a local farmer, finances were tight at home and this precluded him not only from finishing his formal schooling with its final gymnasium exam but it also put tertiary education beyond his grasp. In order to get access to free education and training in the field of engineering he joined the Prussian army in 1835. This enabled him to spend three years at the Artillery and Engineering Academy in Berlin where he studied mathematics, physics and chemistry. This not only gave him a solid foundation for his future career, but it also resulted in Siemens becoming one of the top engineers of his time. With the army very much interested in fast communication, Siemens built a pointer telegraph where a needle was used to point to the letters instead of using Morse code. That way the receiver of a message could simply read the text without having to know Morse code – a significant advantage in the army. It was an updated and more reliable version of the Wheatstone telegraph (another Cyber Hero). This resulted in Siemens - together with the master mechanic Johann George Halske (1814-1890) - starting a new telegraph construction company in Berlin in 1847, called "Siemens & Halske Telegraphen Bau-Anstalt". 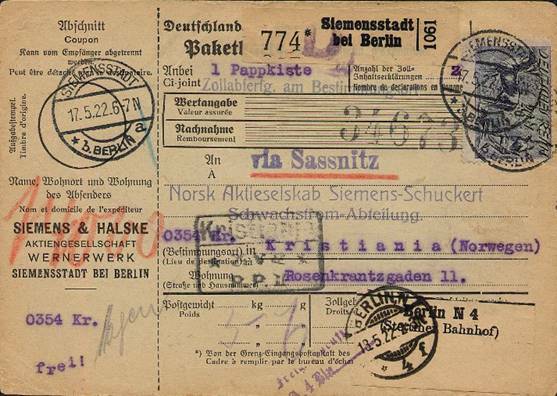 Two years later he left the Prussian army to devote himself to this company which would ultimately become Siemens AG. Siemens was a brilliant inventor and many of his inventions have been patented, e.g. a new method for the galvanizing process. He also introduced the seamless insulating of electrical wires with guttapercha which laid the basis for his worldwide telegraph cabling projects. In 1848 his firm built the first telegraph line over 500 km between Berlin and Frankfurt am Main in Germany. In 1851 his company was asked to construct a long-distance telegraph network in Russia, which resulted in the 1855 opening of a branch in St Petersburg, which was headed by his younger brother Carl Heinrich von Siemens (1829-1906). It was not the first time that Siemens had employed his family in the company as in 1850 a branch in London had been opened which was run by brother Carl Wilhelm (1823-1883), later known as Sir William Siemens. The London branch was not only involved in constructing a telegraph network in England but also the laying of submarine telegraph cables (manufactured by the Siemens Brothers as well), with the first transatlantic cable between Ireland and America being laid in the 1870s. 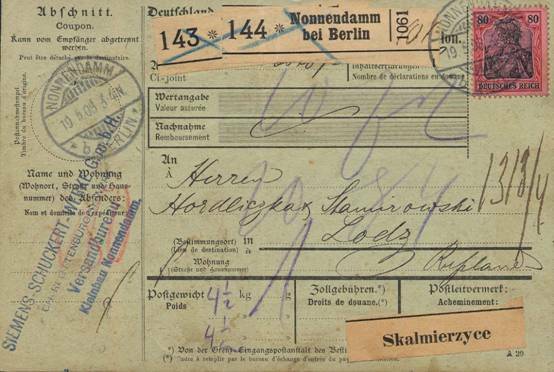 Halske withdrew from the company in 1867, leaving it all in the hands of the Siemens family. 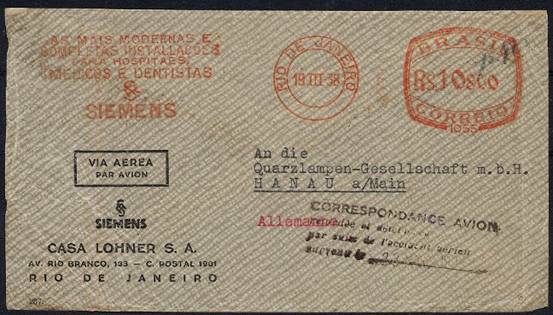 Siemens airmail cover Brazil to Germany, via Morocco. Recovered from mail plane "Ville de Toulouse"
which crashed 23-3-1938 at Cinq Croix (France, Pyrénées) with Nierinck h/stamp 380323a. Crash covers are notoriously difficult to find for thematic subjects. In 1866 Siemens discovered the dynamo-electric principle which made it possible for electricity to be used as a source of power. In 1867 he submitted a report to the Berlin Academy of Sciences on the conversion of mechanical energy into electric current in which he predicted that "Technology now has the means to generate electrical current of unlimited strength in an inexpensive and convenient way wherever mechanical energy is available". Making use of this heavy-current engineering Siemens introduced the first electric railway in Berlin in 1879, the first electric streetlights in Berlin's Kaisergalerie in that same year, the first electric elevator in Mannheim in 1880 and the first electric streetcar in 1881. This car, called Viktoria, was specifically marketed to women as they found crank-starting combustion engines physically too demanding. 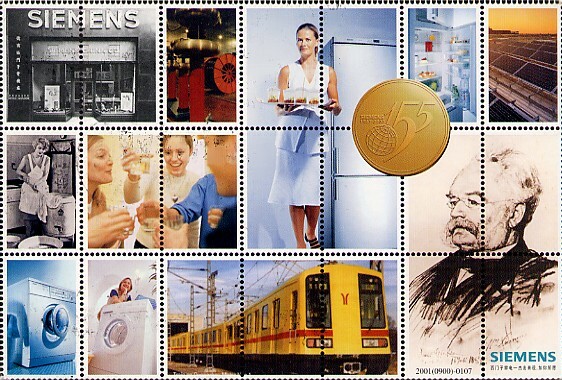 In 1896, Siemens opened the world's first underground railway in Budapest. It carried more than four million passengers in its first year of operation. In 1903 a high-speed Siemens locomotive set a new world speed record of 210 km/hr. Siemens had become a force to be reckoned with worldwide in electrical and heavy engineering. 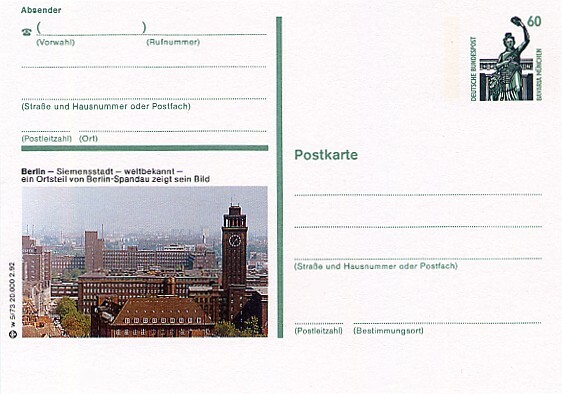 and is from the same post office which had been renamed to Siemensstadt in 1913. In 1913 the suburb Nonnendamm was officially renamed Siemensstadt which had been its unofficial name for some time. "Siemens Town" had a population of 7,000 at that time. In 1888 the German emperor Friedrich III ennobled him, making him Werner von Siemens. Two years later Siemens retired and left the company to his brother Carl and his sons Arnold and Wilhelm. 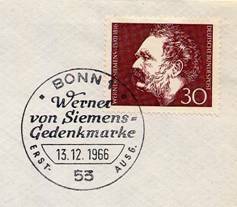 Werner von Siemens died in Berlin on December 6, 1892. 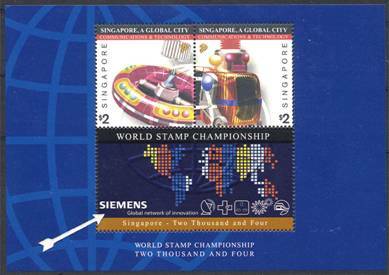 Siemens has been honoured in that his name has been adopted as the SI unit of electrical conductance, the Siemens. The Siemens is the reciprocal of the unit of resistance, the Ohm, thus S = Ω-1. 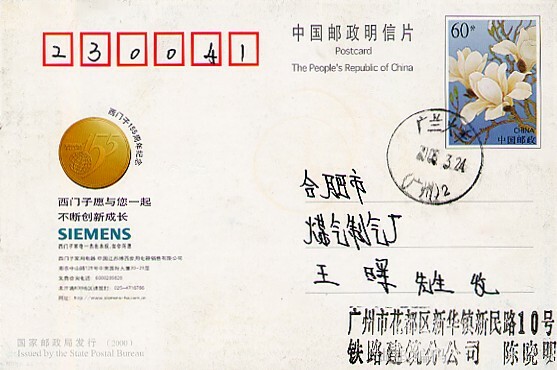 In 1966 several Siemens companies, incl. Siemens-Schuckertwerke were combined and became Siemens A.G. By then Siemens had become a household name and was well known for its household products, like vacuum cleaners (introduced 1930), TVs (1930s), washing machines, etc. Less well known are its not-insignificant achievements in the field of computers. Siemens' foray in the computer era started at the time of the tabulating equipment. Already in 1934 it had an agreement with Remington Rand for the marketing of punched card products in Europe under the name Powers-Siemens&Halske. During World War II, which did not leave Siemens unscathed, the company manufactured the Siemens&Halske T52 Geheimfernschreiber ("secret teleprinter"), one of the Enigma cypher machines used by the German Navy units. 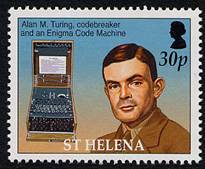 The T52 was codenamed Sturgeon by the British crypto-analysts at Bletchley Park. In 1953 Siemens managed to produce high-purity silicon, the essential element in the manufacture of microelectronics. This also enabled the company in 1965 to produce Europe's first mass-produced integrated circuits. Siemens also worked in cooperation with Radio Corporation of America, a company more known for her gramophone records than for her endeavours in the field of computers. Following large losses RCA stopped her computer interests in 1971. In 1967 Siemens took over Zuse KG, the company founded by Konrad Zuse (1910-1995) who had built the first automatically controlled calculating machine in 1938, the famous Z1. The Zuse computers had been used in the early 1940s in Germany to design aircraft for the German army. After the take-over Zuse stayed on as a consultant to Siemens. In the 1970s Siemens launched its Siemens 7700 series computer, the German version of the IBM System/360 family of mainframe computers. It took a while (at least for me) to get used to the manuals, all written in German, where one stumbled over long words like "Magnetkartenspeicherdatei" (a disk file). chess tournaments, etc. to demonstrate its prowess in computer technology. having this stamp-like composite picture on the front. In 2005, the Siemens corporation employed more than 450,000 people in 190 countries and reported global sales of €85 billion. A true global player.